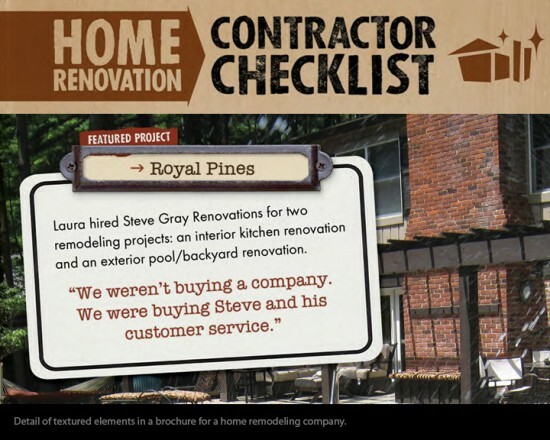 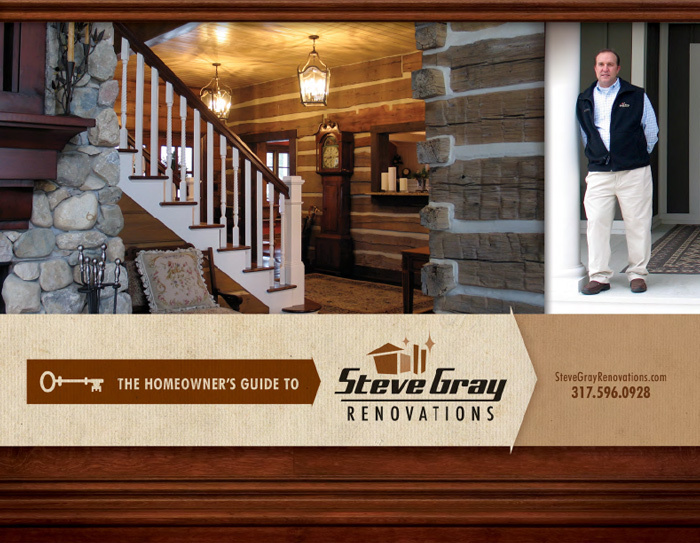 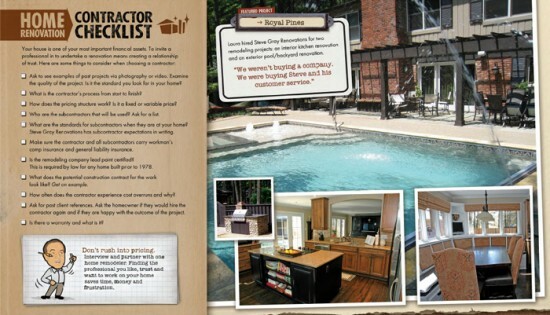 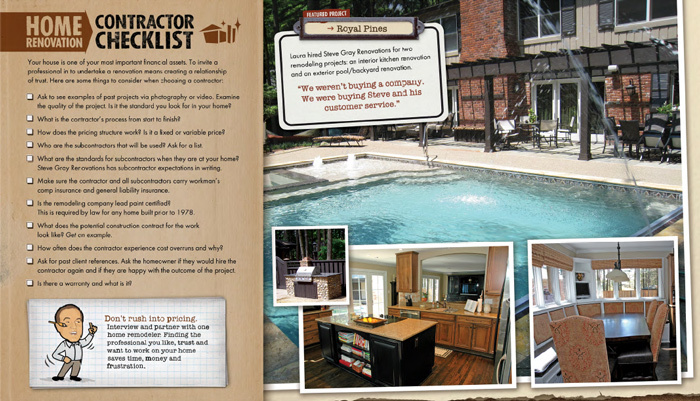 Company brochure for Steve Gray Renovations, a top notch renovator in the Indianapolis area. While Steve’s website is a powerful tool in marketing SGR to the masses, it’s common for folks to ask him for a brochure. 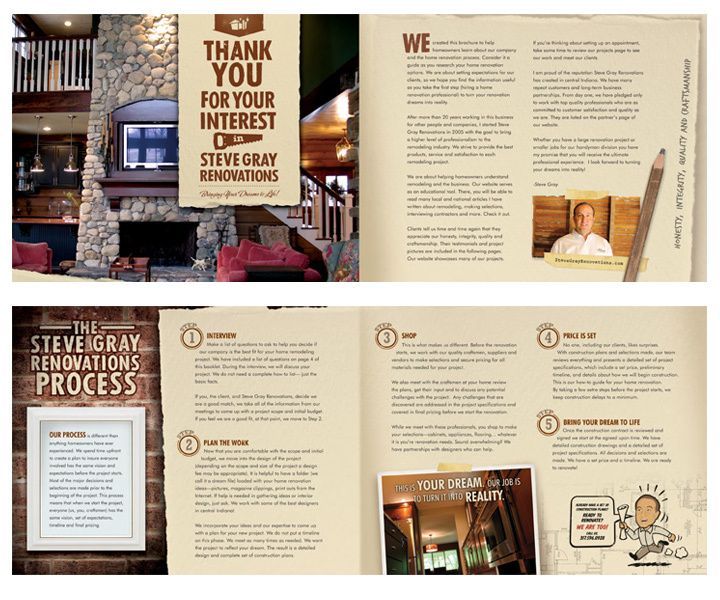 So we took the same warmth, detail and craftsman-inspired graphics found on the website and created a print piece to leave with prospective clients.